Paa ski over Grønland. En skildring af Den norske Grønlands-ekspedition 1888–89. Aschehoug, Kristiania 1890. Tr. as The First Crossing of Greenland, 1892. （翻译作品）Armenia and the Near East. Publisher: J.C. & A.L. Fawcett, Inc., New York, 1928. (excerpts). Abrams, Irwin. The Nobel Peace Prize and the Lauretes: an illustrated biographical history 1901–2001. Nantucket MA: Watson Publishing International. 2001. ISBN 0-88135-388-4. Amundsen, Roald. The South Pole, Vol. II. London: John Murray. 1912. Berton, Pierre. The Arctic Grail. New York: Viking Penguin. 1988. ISBN 0-670-82491-7. Fleming, Fergus. Ninety Degrees North. London: Granta Publications. 2002. ISBN 1-86207-535-2. Gibney, Matthew J.; Harrison, Randall. Immigration and Asylum from 1900 to the Present: Volume 1. Santa Barbara, California: ABC-CLIO. 2005. ISBN 1-57607-796-9. Jackson, Frederick. The Lure of Unknown Lands. London: G. Bell and Sons. 1935. Nansen, Fridtjof (tr. H.M. Gepp). The First Crossing of Greenland. London: Longmans, Green. 1890. ISBN 978-1-108-03109-7. Pollock, Frederick. The League of Nations. Clark, New Jersey: The Lawbook Exchange Ltd. 2003. ISBN 1-58477-247-6. Reynolds, E.E. Nansen. Harmondsworth (UK): Penguin Books. 1949. Scott, J.M. 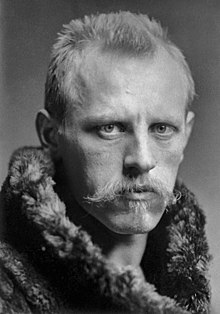 Fridtjof Nansen. Sheridan, Oregon: Heron Books. 1971. Spitz, Susan (编). The American Heritage Science Dictionary. Boston: Houghton Mifflin. 2005. ISBN 0-618-45504-3. Whitaker, Ewan A. Mapping and Naming the Moon. Cambridge: Cambridge University Press. 1999. ISBN 978-0-52162-248-6.